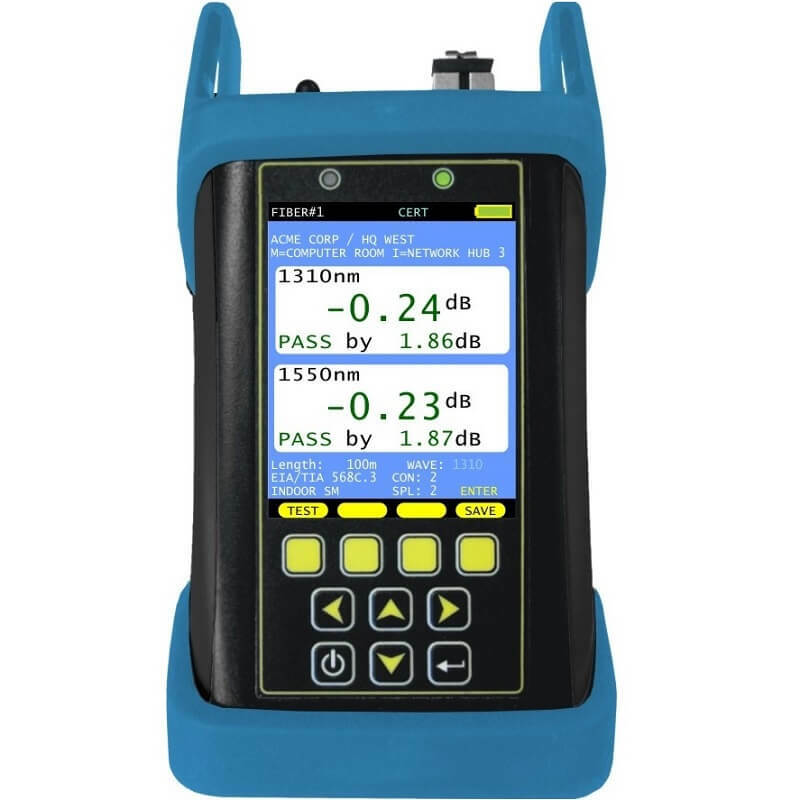 The F7X Fiber OWL 7 is a highly accurate microprocessor controlled optical power meter that features an InGaAs detector and a measurement range of +5 to -70 dBm. This unit stores upto to 10000 data points and has a large backlit LCD display. 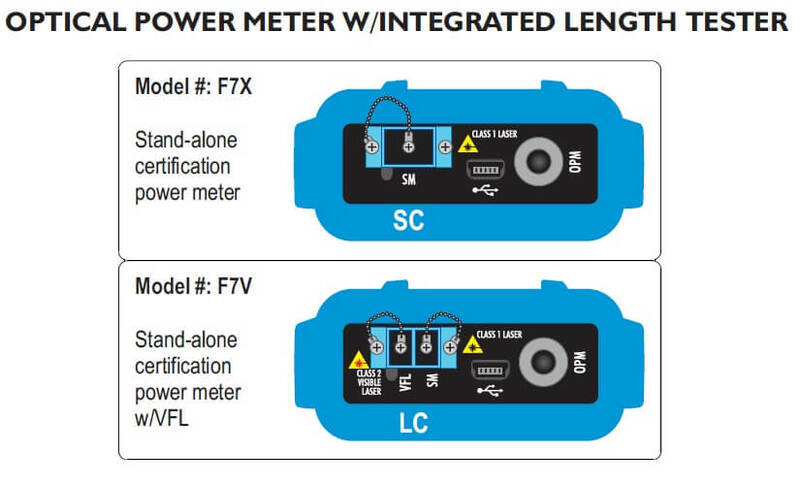 The OWL F7X Fiber OWL 7 series power meters are part of a fiber installers toolkit for fiber optic link certification. The F7X is Encircled Flux (EF) compliant and 10-Gig ready for testing multimode networks designed for transmission of 10 Gigabits and beyond. 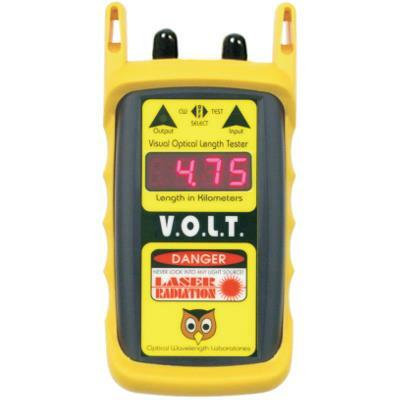 When used with EF mode controller cables, Fiber OWL 7 certifiers ensure high-speed multimode networks are compliant to standards-based EF requirements. OWL F7X optical power meters are NIST Traceable and produced in the heartland of the US. 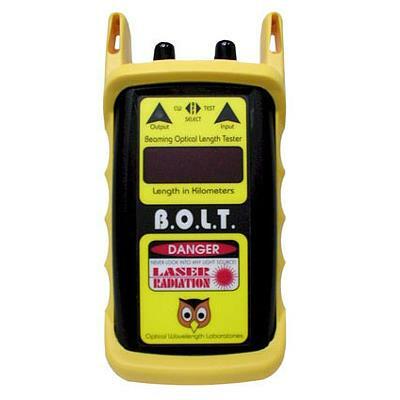 The OWL F7X features an InGaAs detector and is ready for multimode and singlemode. The wavelengths this power meter uses are 850, 980, 1300, 1310, 1490, 1550, and 1625 nm with a measurement range of +5 to -70 dBm. 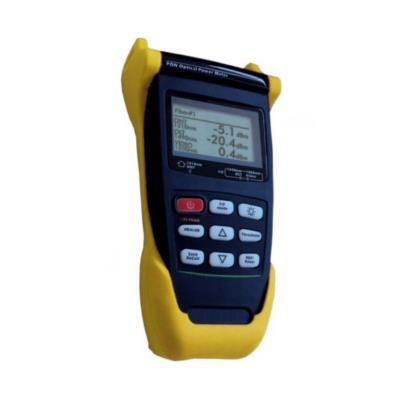 The accuracy of these power meters is +/- 0.15 dB with a display resolution of 0.01 dB. The F7X uses a universal connector for 2.5mm and 1.25mm connection types. 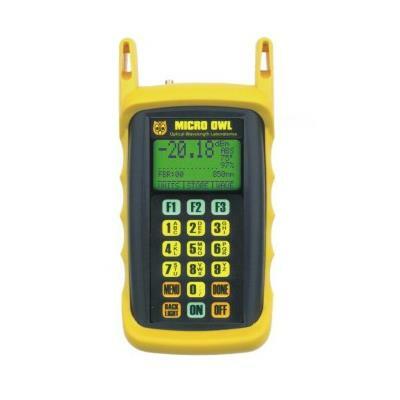 Included free with the F7X Optical Power Meter is OWLView software. Data from your power meter can be downloaded to the software where the data can be selectively viewed, printed, and saved for later use. 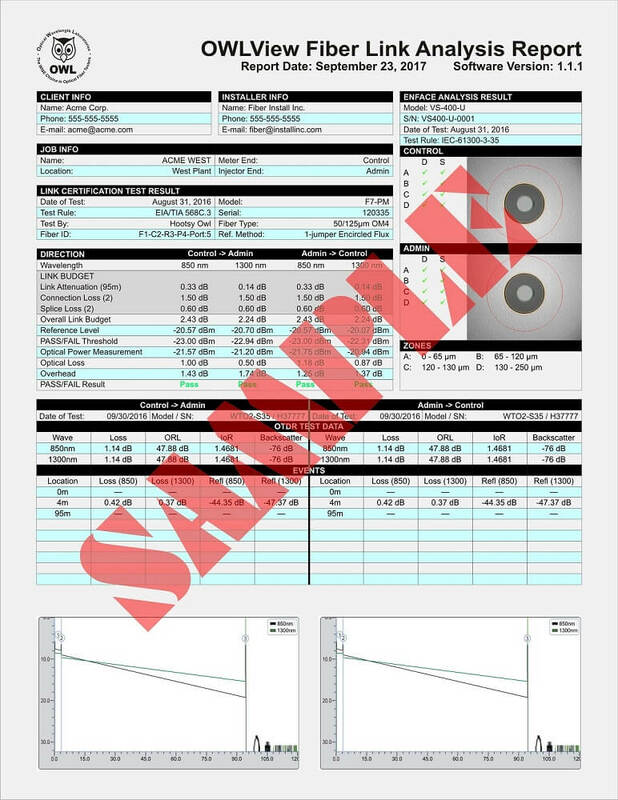 OWLView has a Tri-Report style comprehensive analysis that shows critical data from link certification, OTDR traces and events, and endface analysis all one one sheet. This quickly shows clients the overall health of their fiber network and ensures that it is installed and tested to official industry standards. Link Wizard certifies fiber links using fiber loss parameters from popular industry standards, including TIA-568, Ethernet, and Fiber To The Home (FTTH). Dimensions 2.87" x 4.42" x 1.25"